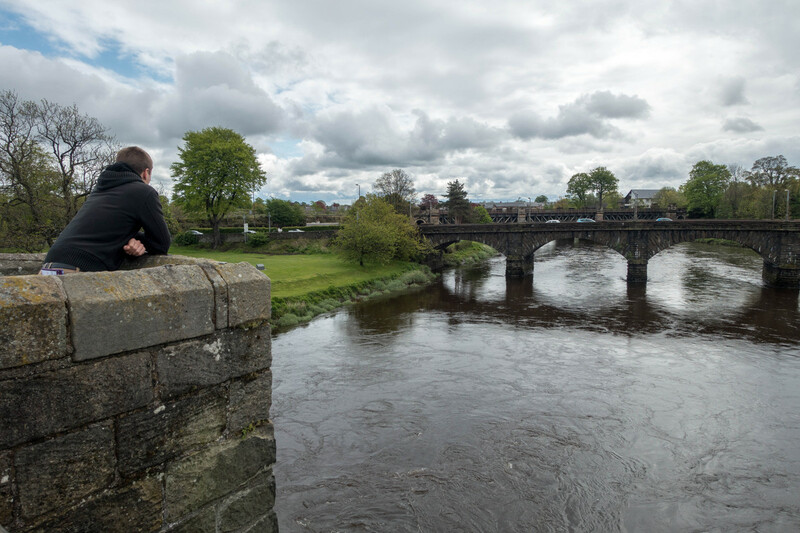 In our continuing quest to explore our new homeland, Scotland, we decided to hop on a train to the medieval town of Stirling. 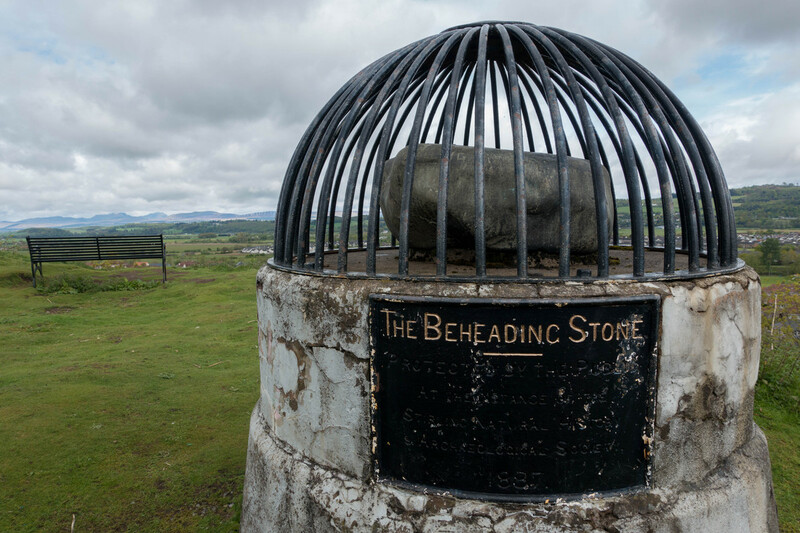 It was a day spent reading plaques on ancient buildings, walking through beautiful nature reserves, gazing over panoramic views and learning about Scotland’s historical battle for independence. 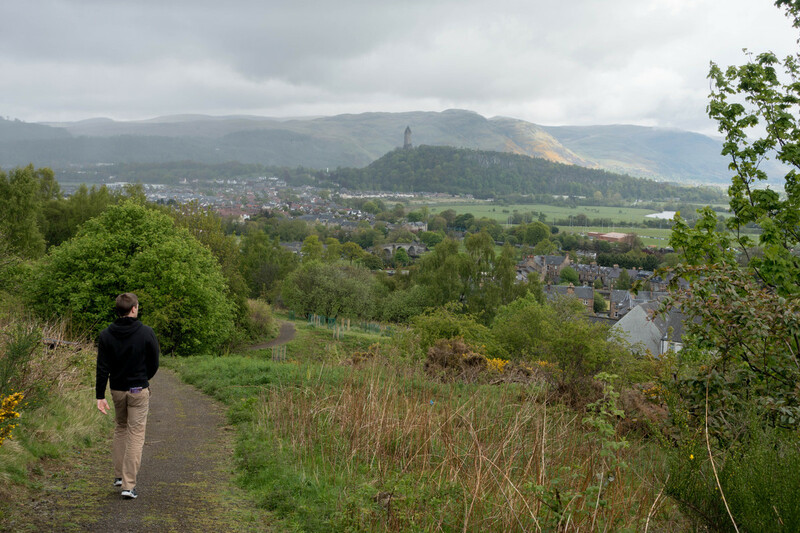 We hadn’t been off the train long before we realised that Stirling is very hilly! 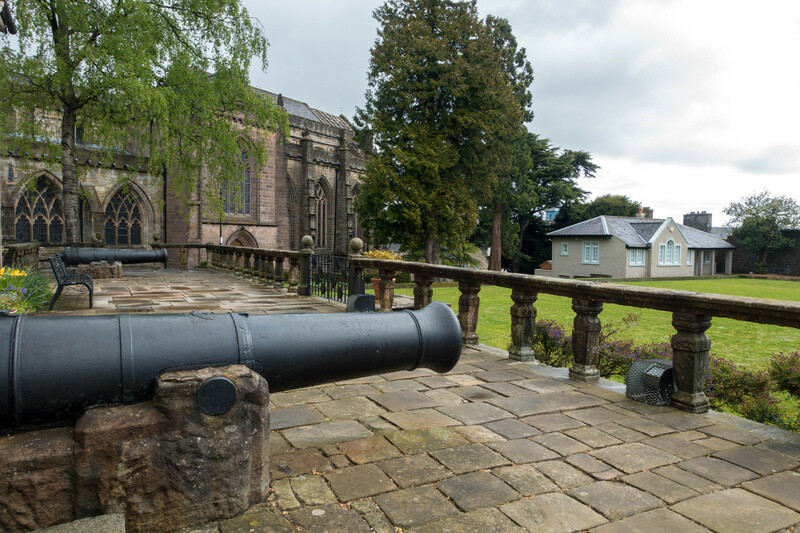 Our legs got a good work-out purely through walking up to the castle, stopping along the way to admire the Church of the Holy Rude, the oldest bowling green in Scotland (complete with canons – for firing at the losers?) and the historic Cowane’s Hospital. 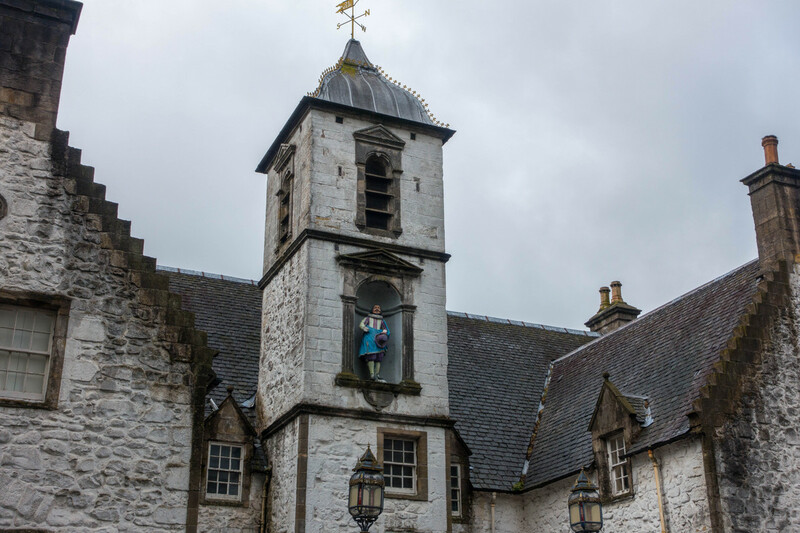 The latter had an amusing statue of the said Cowane on its front, which according to legend comes down to dance around the courtyard at Hogmanay! 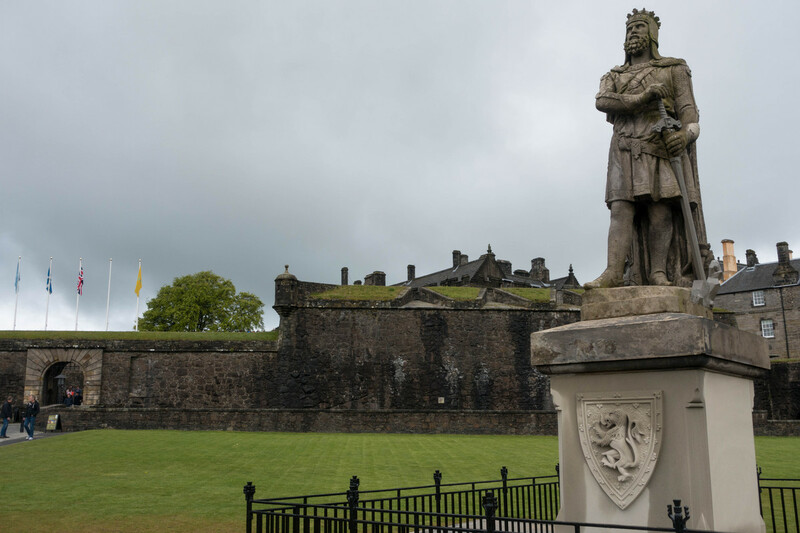 Stirling Castle’s esplanade offered a statue of King Robert the Bruce and great views over the town and across to the Wallace Monument. We looked into the initial courtyard and went up to the battlements at the front, but decided the £14.50 entry fee for the rest of the castle was too high. Instead, we walked down from the castle and into the nature reserve next door, based around Gowan’s Hill. 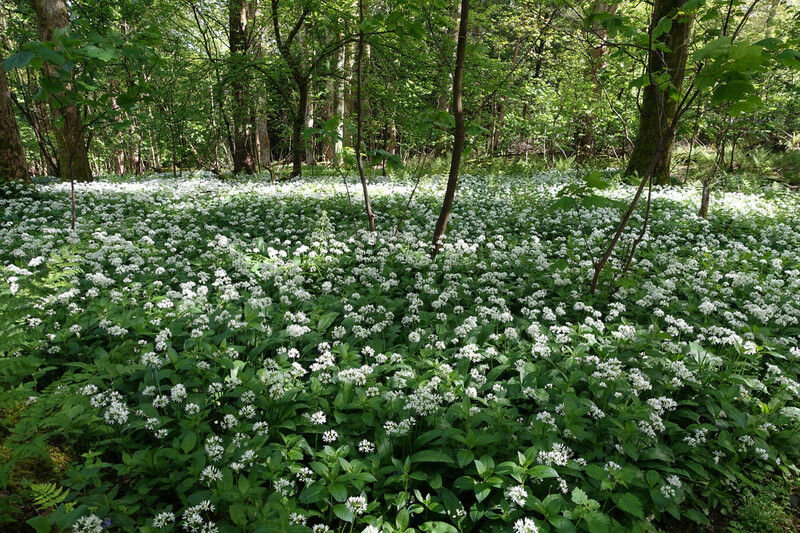 This area was gloriously wild and bursting with nature – we even saw rabbits hopping amid the bushes! 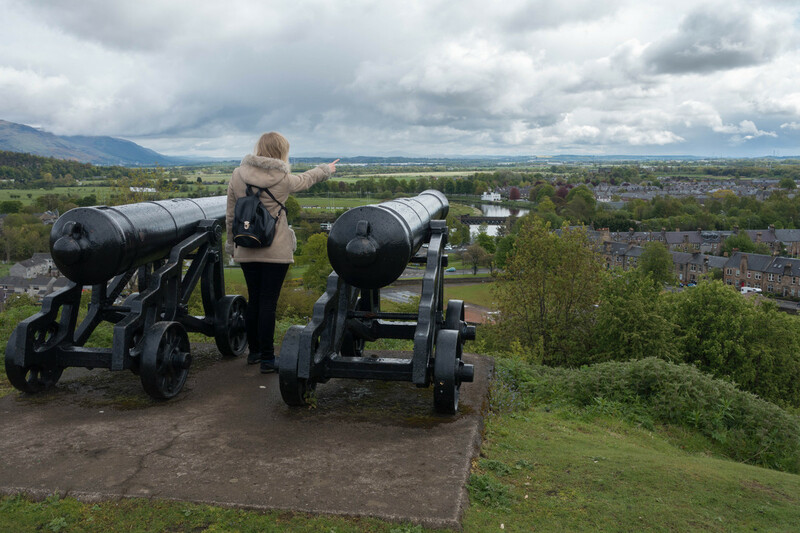 We continued walking until we reached the peak of Moot Hill, topped by the Beheading Stone, more cannons and more glorious panoramic views. 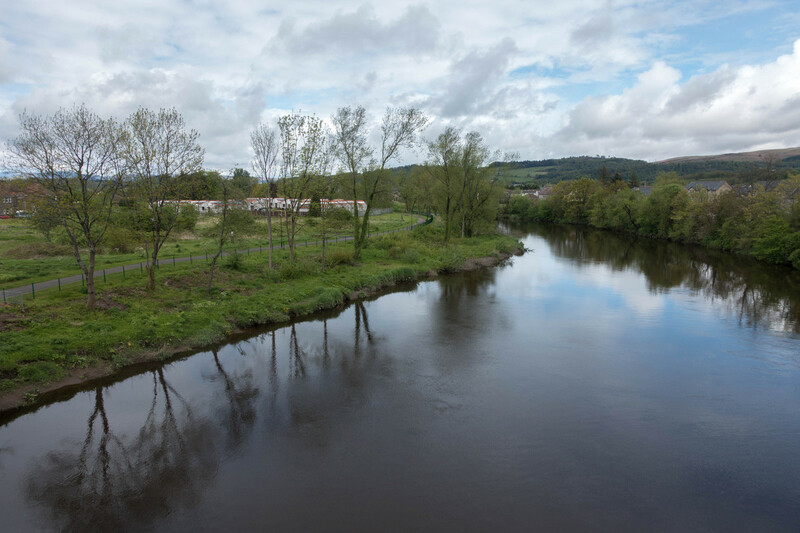 Information boards up here directed our attention to the three bridges crossing the Forth, one of which hosted a famous battle in which William Wallace’s Scottish army defeated English forces. 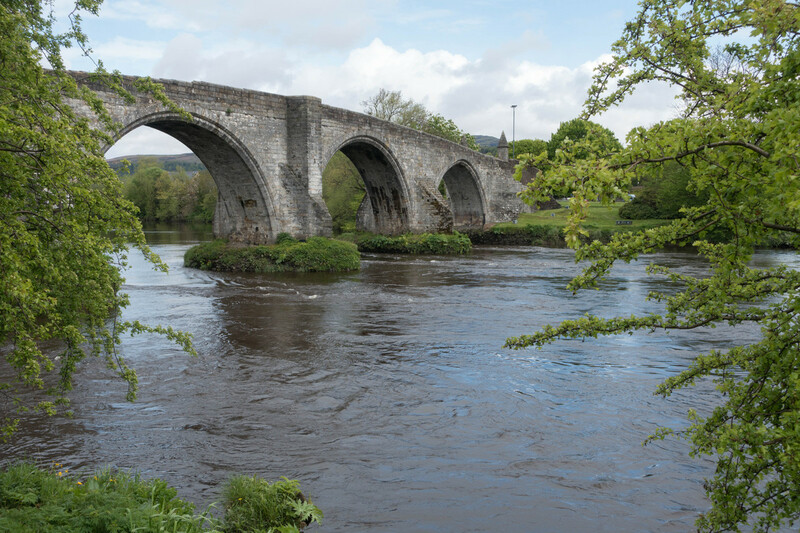 We decided to walk down to these and see the narrow stone bridge on which the battle was fought up close. By the time we got down to the bridges, the clouds were beginning to clear and the sky brighten up. Looking upriver from the stone bridge, the water was completely still; looking downriver, the water swirled in every direction. All the walking had worked up our appetites, so we dropped into Nicky Tam’s Bar & Bothy – one of the few places open on this quiet Monday lunchtime. This was a cosy pub offering good home-cooked food – and we couldn’t believe how cheap it was! Our macaroni cheese, balmoral chicken and two soft drinks came to less than £20, yet was more than enough to refuel us for more exploring. 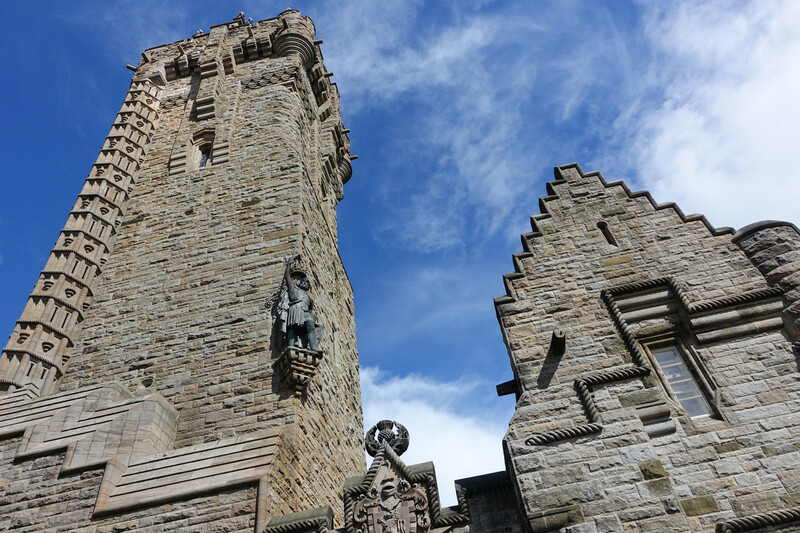 Our next stop was the Wallace Monument: a tower built to commemorate William Wallace, today containing an exhibition telling his story and that of other Scottish heroes. We got a UL bus to Wallace High School but this clearly wasn’t the right bus to get, as we still had a good distance to walk from there to our destination. Arriving at the visitor centre, we bought our tickets and caught the complementary minibus up to the monument. From here we had to climb 246 narrow, twirling steps to the top. 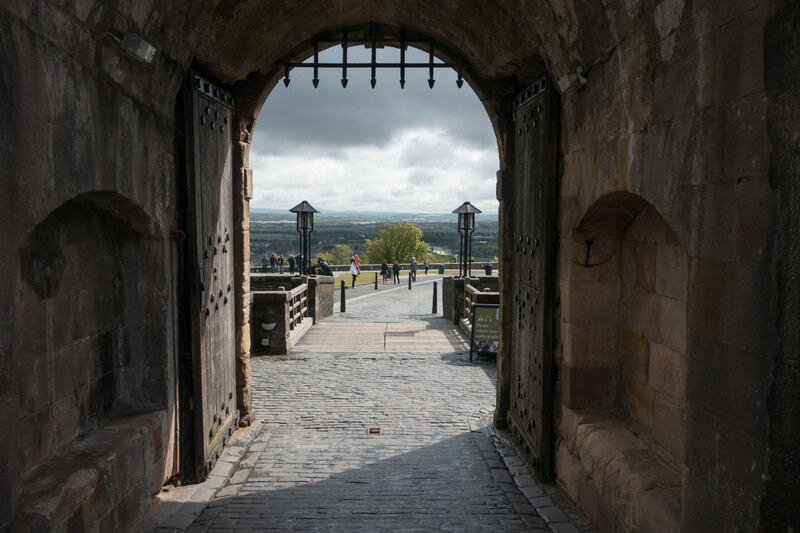 There were three rooms on the way up: the first told the story of William Wallace through text, a video and exhibits of swords and armour; the second held the busts and and biographies of other Scottish heroes; and the third explained how the monument itself came to be. 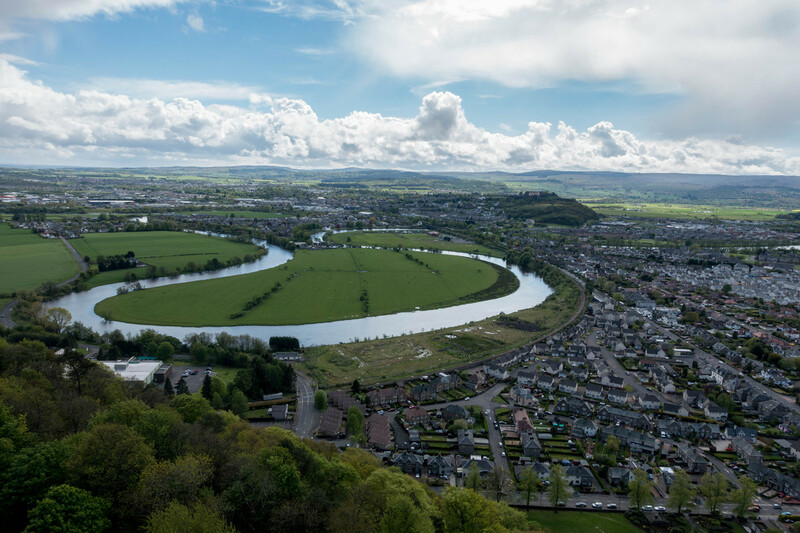 At the very top of the tower we were rewarded with spectacular views across the surrounding counties, reaching as far as the Firth of Forth and its instantly recognisable bridges. Getting back into town from the tower was much more complicated than it should have been! Signs told us to follow the marked paths rather than the road, so we obediently followed the direction of a blue arrow marked on a sign showing a sword. These blue arrows led us deep into the bluebell-filled forests of Abbey Craig, which although beautiful did not take us back to the visitor centre as we wanted! After what felt like half an hour of trudging a muddy circle, we eventually found our way back to the road and to the visitor centre. We got the bus back to town, and the train back to Edinburgh, feeling pleasantly worn-out and a lot more knowledgeable on Scottish history than we had been in the morning! 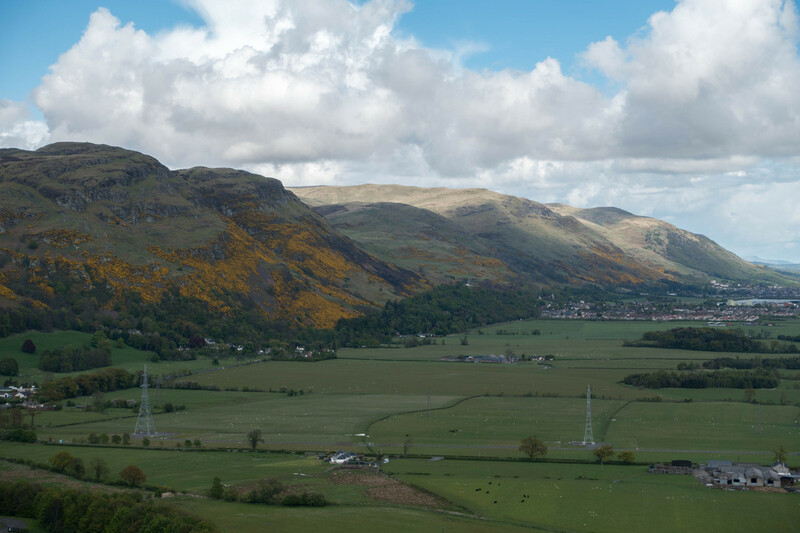 Posted in British Isles, Photography, Reviews, Scotland, Travel, UKTagged Featured, Gowan's Hill, Stirling, Wallace Monument, William WallaceBookmark the permalink.